You are here: Home / Hair Loss Blog / Hair Loss News / Spex Hair (Spencer Stevenson) a "Hair Loss Mentor"
For over a decade Spencer Stevenson or “Spex” has helped everyday guys to high profile celebs deal with their individual concerns about hair loss. “I feel it’s important to help hair loss sufferers get the correct information,” said Spencer. Spencer is a world renowned hair loss mentor and advocate. Spencer Stevenson, 37, also known as “Spex Hair” on hair transplant forums, is a world renowned hair loss mentor in England. He is respected by thousands of fellow hair loss sufferers including A-list celebrities. 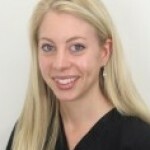 Spencer has helped educate, empower and advise hair loss sufferers for over ten years. “I really enjoy enabling hair loss sufferers to get as much information and feel empowered with the options available to them,” said Spencer. 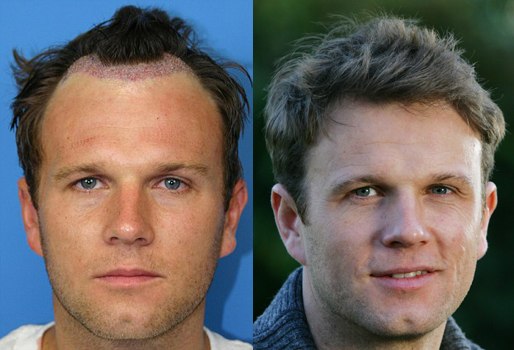 Spencer is shown here before and after his successful hair transplant surgery with Dr. Feller, in New York. “My hair finally looks natural and age appropriate,” said Spencer. What are the challenges faced as a hair loss mentor and advocate? How much did you spend on hair transplants? What is the secret of a successful hair transplant? Dr. Rahal is called the “Hairline King.” How important are hairlines? How does your hair look today?